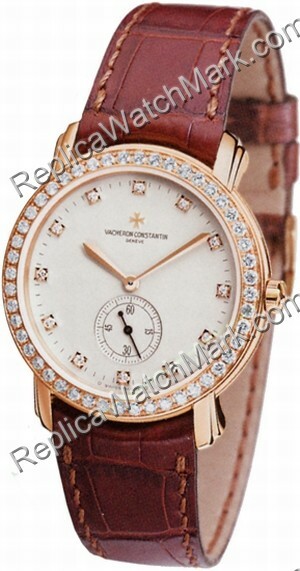 Classic watch with a simple white enamelled dial, Rose Gold Hands & 12 Diamond Hour Markers, Bezel set with 48 diamonds (VS1 Top Wesselton Quality Diamonds Weighing aprox. 1.22 carats), Seconds Hand Subdial at the 6 o'clock position. Aprox. Power Reserve of 40 hours.